Grand Canyon National Park is the only place in the world to find the sentry milk-vetch, a tiny, perennial herb with creeping stems and small leaflets that bears tiny lavender flowers in the spring. Each plant is only one inch tall and up to six inches wide. 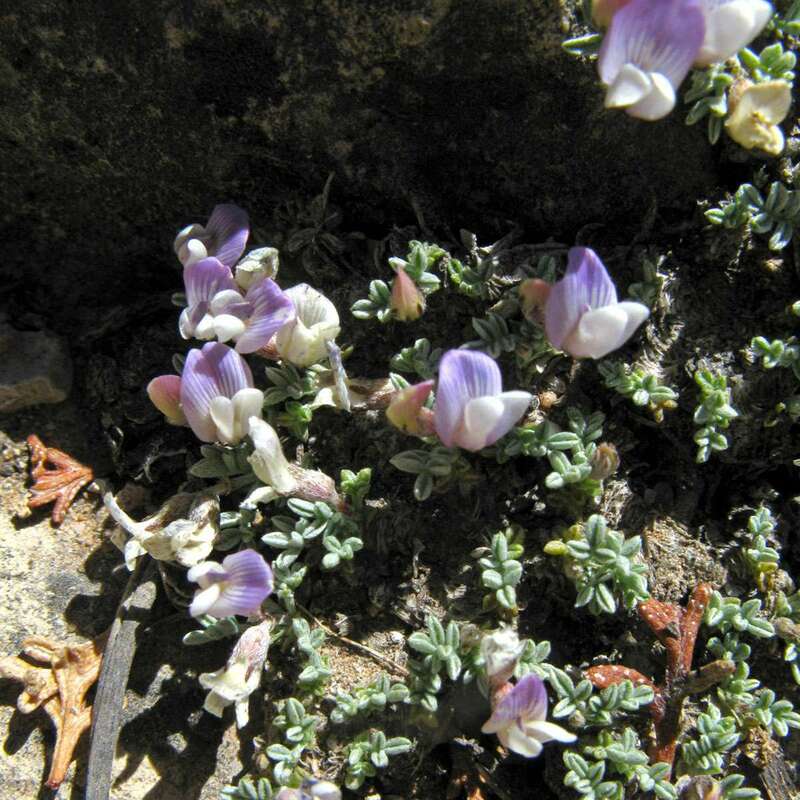 Sentry milk-vetch only grows in shallow soil pockets in cracks and crevices of Kaibab Limestone in open areas of the national park. The plant was given the name "sentry" because it only grows in three locations within 25 feet of the South Rim of the Grand Canyon, giving it a prime view of the park. As of 2011, the total estimated population was 2,500 individual plants. When the sentry milk-vetch was listed as an endangered species in 1990, a study showed 65 percent of all the plants had been trampled by park visitors. 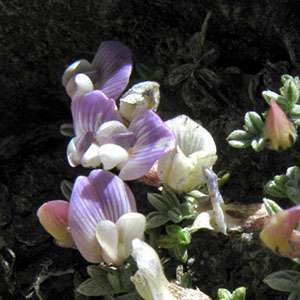 The milk-vetch also faced habitat loss, drought and a changing climate. With its small population size and limited habitat, there is nowhere for the sentry milk-vetch to move if its current location becomes inhospitable. While long-term protection will likely always be necessary, resource managers are working toward a goal of maintaining and establishing eight viable populations of 1,000 individuals each. Park staff removed an entire parking lot and installed a fence around the main population at Maricopa Point to prevent further damage from visitors. In addition, park staff have set aside additional habitat for introducing new plants and have constructed a greenhouse to facilitate reintroduction and recovery efforts. In 2012, NPCA and corporate partner Nature Valley funded a program that increased volunteer participation in replanting heavily impacted areas along the park’s South Rim with native plants. Volunteers helped collect sentry milk-vetch seeds, grow new plants in the park’s greenhouse and plant the new milk-vetches at rimside locations. They also built new fences and helped with other measures to direct visitor traffic away from fragile milk-vetch locations.